Working in an office and working in the place other than office creates a certain type of difference of opinion among people. 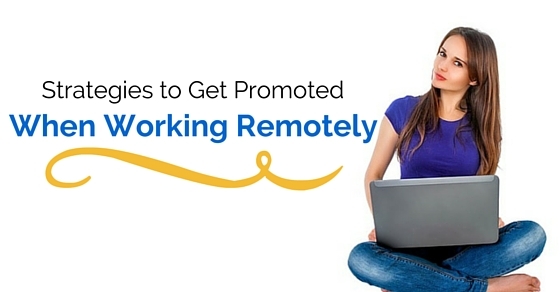 There may be a possibility that a person working in an office expects a certain kind of promotion for the work he / she rendered to the company, but in cases like working remotely, expecting some kind of reward or appreciation for the work they rendered working remotely, is completely a different matter. While working in a place other than the office may seem convenient for few but eventually it may seem cliche to work remotely. And it is natural to experience some kind of growth in the working environment of the assigned position. A person working in a secure office environment may expect a promotion for the work he / she has rendered for those years, but a person working remotely can not expect such promotion for the work he / she has rendered for all these years. A person who works in a place other than the office may expect some kind of an appreciation for the work he or she delivered in that position. But it is not that easy to evaluate the working environment of the person who works other than usual office space. Therefore, that person needs to start building their own network so that there won’t be any kind of difference at the time of promotion offer. Sometimes it is possible that an employer doesn’t consider those employees working remotely for the promotion or for the raise expected. When a person working remotely expects some kind of an appreciation or a reward for the work he / she delivered for these long years, then it is possible that the employer may not feel the same about such employees. At that point of time an employee needs to find such mentor who can really help them to gain their promotion that they deserve in their professional career. Therefore, it is better to find a beneficial mentoring techniques from a qualified mentor the future development of their professional career. Working other than office or from home can create certain kind of barriers or boundaries for the work. These boundaries are such as lack of knowledge about the skills and abilities to expect a growth in their career. Sometimes it is possible that those employees who work from home or from the place other than office are less likely to choose some kind of promotion because of their lack of knowledge about new skills and abilities. When a person starts working in a place other than their office, then it is possible that he may experience some kind of different behavioral change from the employers. And that kind of behavioral change can be considered as a signal that an employee working remotely is not liable for any kind of promotion for their work. Therefore, to avoid such problem an employee needs to start taking up new responsibilities in his / her office work so that they would be considerable or noticeable from their employers. It is common to understand that when a person starts working in a place other than their office, they may be liable for some kind of promotion for their work they delivered all these years. Therefore, to make that kind of a thinking to turn it’s chances then a person need to start maintaining their progress for the sake of their promotion. These tracking or maintaining can hold of some kind of progress in their working environment which can create a difference of promotion. When a person starts their career with a thought of working remotely then it is possible that he / she may end up working remotely other than their office. And eventually it can create some kind of barrier between their growth and progress. Therefore, to overcome such career issues it is better to start exploring ones career goals so that there won’t be any problem with their decisions. And this will end up building some social security for that person working remotely. When there is no other way when a person working remotely can be considered for some kind of promotion, then it is better to be direct with your boss before it is too late. And while being direct with the employer or with a boss, an employee need to be clear with his / her promotion expectation for the position. And ultimately these things will create some kind of positive external environment for the proposal directly delivered from the employee. When being honest doesn’t work for the promotion ideas, then it is good to start with direct proposals which can be considered as a desperate effort of promotion. These desperate efforts for promotion can create some kind of an effective environment for the person who is working remotely other than their office. It can eventually turn things in the favor of that employee and also an employer considers them for the position of promotion for the work they delivered all these year. When it comes to promotion, an employer or the boss needs to consider all the facts about his / her employees working environment and their performance in such working environment. And this can be applied to those employees also who is working remotely other than their office. To make things better in their favor, the employees working remotely should start creating a difference of working between office and home. Therefore, this can create a discreet balance of working for both of the working environment. When a person working remotely other than the office may seem little worried regarding their promotion, it is possible that they are not liable for any kind of promotions as they work in a convenient place than an office and the rest of the employees work in the office. Therefore, employee who work remotely may require to keep communicating with their coworkers and try to build their relationship with those employees who work in office. A person working in a place other than office may not be liable for any kind of promotion offer that had been declared for some of the particular departmental workers. But it is possible that if such promotional offer may not apply to those workers who work remotely, then that employee can step forward and show his / her interest over such promotion offer that had been allotted to that particular department. Sometimes it is possible that most of the employers or the boss seems to be busy with their official duties. At that time, an employee who works in a place other than the office needs to make an effort to be visible during the time when an employer stays around the office. And he / she can make sure of their visibility is confirmed from the employer or the boss for future benefits and arrangements. Therefore, it is necessary to be visible to make sure an employer receives the message of confirmation. Most of the employees working in the offices mainly focus on the team they are supposed to be working with but those who work in a place other than the office need to keep in mind that it is not necessary to keep tracking all the activities of the team while you are out of site working. But it is necessary to gather information about the activities of the company when the employees are not around in the office to be informed of all the details. Most of the time it happens that the employees who work remotely that may be at home or other place, make a common mistake of not showing their presence in the office during their office timings. But to keep their presence countable, those employees should visit the office once in a while to make sure of the activities around the office. It makes things clear when it comes to promotion requirements. And the bottom line is that when it comes to a person working in the office and delivering his / her assigned work accurately, then it is possible that he / she will be considered for the promotion they deserve in their professional career and similarly when it comes to a person working remotely then it is expected that they won’t be liable for such promotion for the position they are working for. Therefore, to overcome such difference of working environmental expectation, a person can start following all the above mentioned strategies to get promoted while working remotely other than their office.